The Black Eyed Susan, Maryland’s State Flower, is just one of many options for planting a garden in Maryland. In our last blog entry, we talked all about the first step in building a garden — prepping your garden soil. If you missed that post, you can find it right here. Now that your soil is all ready for your new garden, it’s time to find some flowers that will be happy growing in a garden in Maryland this summer. Remember, every region has different climates and different soil conditions, so choosing native flora and fauna will help your garden be as healthy and beautiful as possible. With that in mind, here are some tips for planting your garden in Maryland this summer. The happiest and healthiest garden in Maryland is one full of local plants. Don’t worry — this list isn’t nearly as limiting as you may fear. We enjoy a great deciduous climate for planting a garden in Maryland, so your options are quite expansive. Just look at the length of this list of trees, shrubs, perennial flowers, ferns, and vines that will very gladly grow in Maryland. 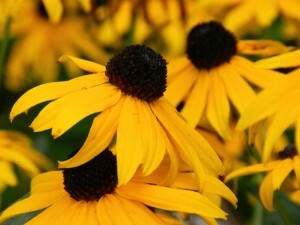 For a few examples, how about the bright and sunny Black Eyed Susan, Maryland’s state flower? How about a gorgeous rose or azalea bush? Oh, by the way, that list will also tell you about how much sun each plant likes, what soil conditions they need, and physical appearance. It’s quite the resource when planning for planting a garden in Maryland. We know that not everyone has the green thumb, the time, or the energy to plant their own garden. That’s where we come in! 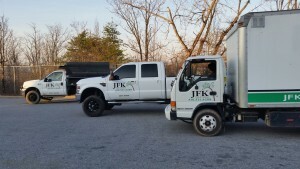 With plenty of landscape installation experience, both residential and commercial, we can make planting a garden in Maryland a breeze. And our landscaping services don’t stop at just planting. We also offer many services to keep your garden in great shape, like plant maintenance and weeding. Your garden is in good hands with your friendly neighborhood landscapers. This entry was posted on Tuesday, May 31st, 2016 at 10:49 am. Both comments and pings are currently closed.